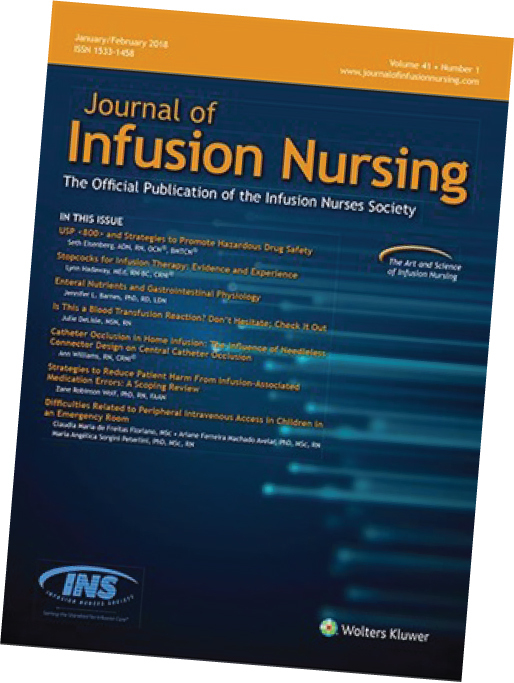 For more than 40 years the Journal of Infusion Nursing (JIN) has been the leading resource for infusion nurse specialists and other health care professionals involved in the delivery of infusion therapy. 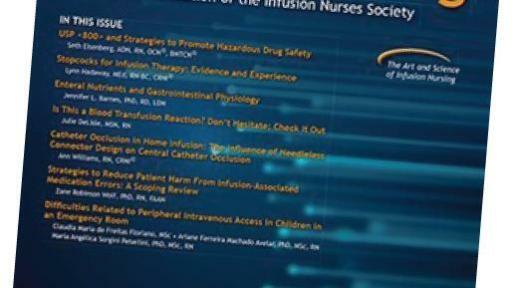 Published bimonthly, this scholarly journal provides up-to-date clinical information that spans the specialty—from research and new practices to case studies, techniques, and policies that affect the infusion nursing profession. The Journal also contains biannual continuing education tests worth 4.5 contact hours or 10 CRNI® recertification units. Infusion professionals from around the globe are invited to present their original work by submitting manuscripts for publication. Submissions to the Journal undergo a process of double-blind peer review. Final selections represent the broad scope of the infusion specialty and draw on the expertise of all health care providers who participate in the delivery of infusion therapy. *CRNI is a registered trademark of the Infusion Nurses Certification Corporation. INTERESTED IN BECOMING A JIN EDITORIAL REVIEWER?